Lighting-Gallery-net - Incandescent - General Service 25-100 watt/Norelco 60w bulbs in early packaging. Quite a find! 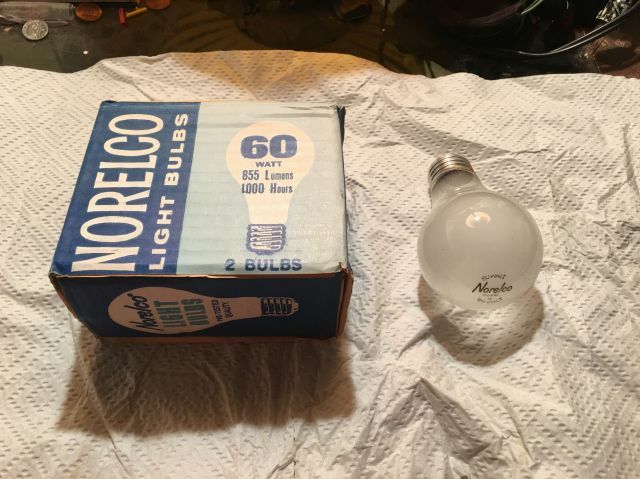 Norelco 60w bulbs in early packaging. Quite a find! First generation packaging, c 1970-75. Got 2/3 of a factory case of em. Made in Canada. Very nice! Horizontal CC-6 filament I assume? Cool find! I had some Amplex lamps years ago with the same Philips plant code.